TBS 2018 Black Friday Flash Sale Starts Now! Only $235 for TBS6909! $165 for TBS2603 Encoder! 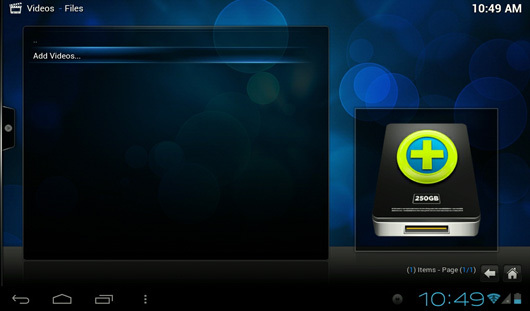 First, go XMBC official website to download XBMC for Android (Open browser -> enter http://xbmc.org/download/ ->get XBMC for Android), then install it. 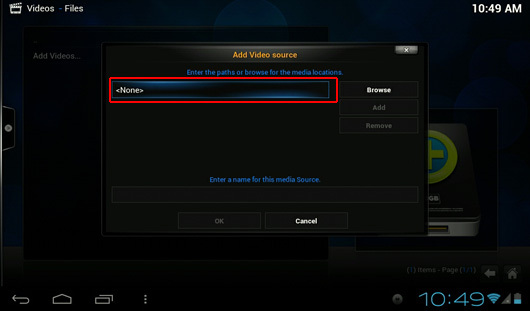 Tap to launch XBMC, and then select “VIDEOS -> Files” to proceed. 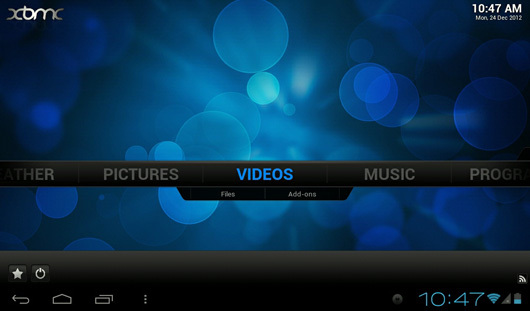 XBMC will display three options “Files”, “Playlists”, “Video Add-ons”, here we choose “Files”. 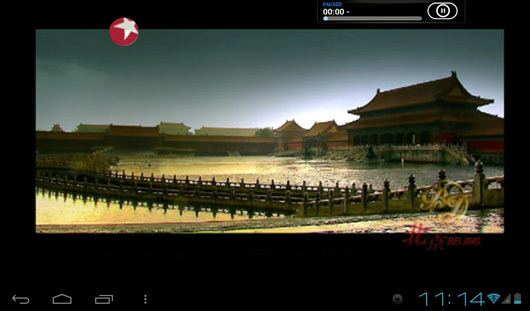 Enter your own MOI Streaming TV Box IP address, just remember this format: htsp://192.168.1.20:9982 (Note: it’s “htsp”, not “http”). 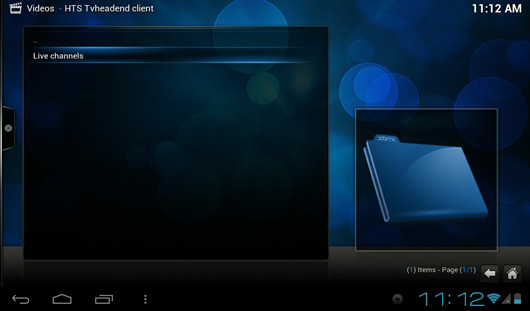 Then click “Down” button to finish this step. 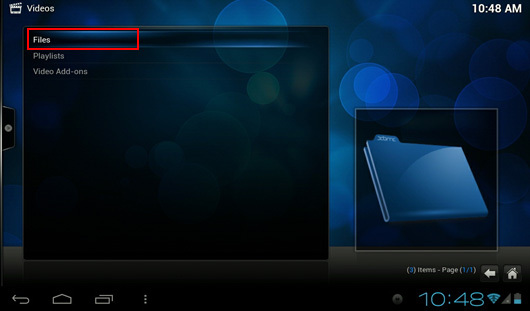 Then you will see the picture below, it shows your XBMC has connected with TVheadend. 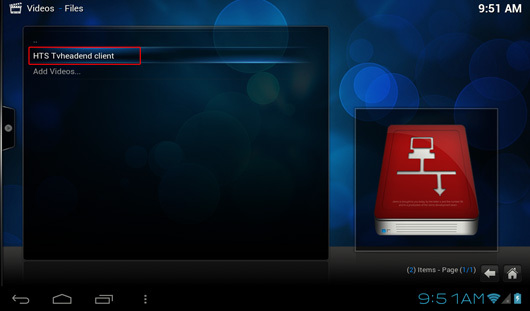 This also means XBMC can play satellite TV channels which streamed by MOI TV Streaming box now. 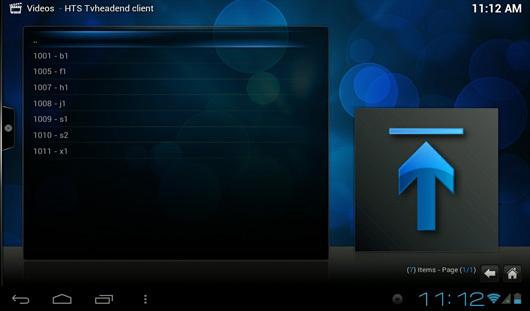 Go on to tap “Live channels”, you will see a TV channel list streamed by MOI. Copyright © 2009 - 2019 TBS. All Rights Reserved.